Brother Steven Parmley, 68, departed this life Wednesday April 10, 2019 in Marion County. He was the husband of Elizabeth Parmley, the father of Steven Parmley, Denika Parmley Brewster, Vernita Hubbard, Marcel Riggins and Sonya Willis. You may visit the family at 306 Curry Rd. Mullins. 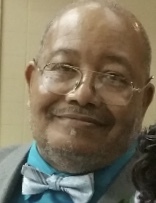 Funeral services are scheduled to be held at the Pleasant Grove Baptist Church, Marion, Sunday April 14, 2019 at 2:00 pm. He will be laid to rest in the Jackson & Daughters Cemetery, Marion.